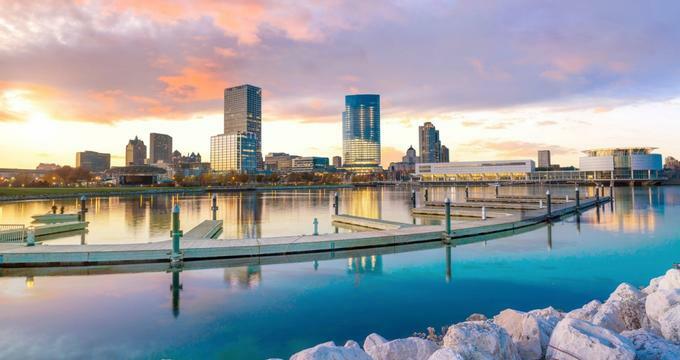 Wisconsin is home to hundreds of miles of scenic Great Lakes shoreline along Lake Superior and Lake Michigan, along with a picturesque mountainous interior that is dotted with dozens of state parks where adventure lovers can have the time of their lives. 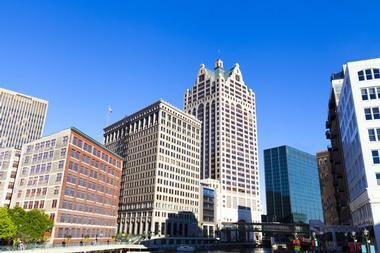 If you prefer the arts and culture scene, you will find it in the state’s bustling cities of Milwaukee and Madison, the state capital. 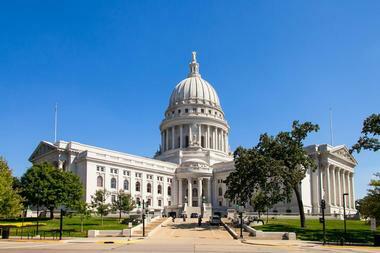 Here are the best places to visit in Wisconsin. The beautiful lake-side town of Lake Geneva ticks all the boxes when it comes to finding an idyllic year-round vacation destination in southern Wisconsin. Water sport enthusiasts can enjoy beaches, paddle-boarding, jet-skiing and parasailing, while those who like to keep their feet dry can go on a cruise to enjoy the beauty of the lake. Back on land you can explore miles of hiking and biking trails including the scenic Shore Path, try zip-lining or a hot-air balloon trip, and tour historic Black Point Estate and Gardens. 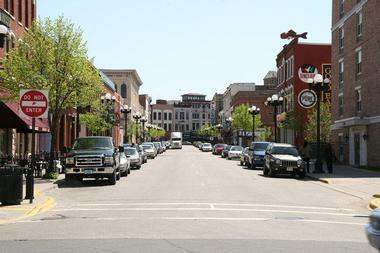 The historic Downtown is the place to go for shopping and dining, and when the winter snows arrive you can go skiing, snowshoeing, snowboarding, ice skating and sledding before treating yourself to a pamper session at one of the many day spas. The town of Spring Green is located along the banks of the Wisconsin River offering visitors great potential for outdoor activities in the lovely River Valley. 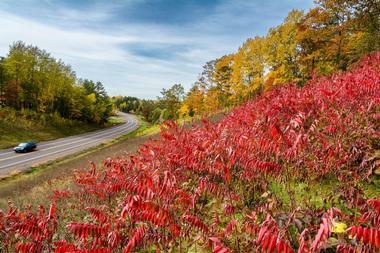 The town is best known as the site of Taliesin, the home of prominent architect Frank Lloyd Wright from 1911 to 1959. Today you can tour the house, the studio and theater or see all the highlights of the estate – essential viewing for all architecture fans. At the opposite end of the architecture scale you should also visit the House on a Rock which was the brainchild of recluse Alex Jordan Jr., who turned his unusual home into a bizarre museum of oddities. Spring Green is home to a thriving arts community and there are many galleries and studios to visit before rounding off your day with a performance at the famous American Players Theatre or the White Church Theatre Project. La Crosse is situated along the western border of Wisconsin, hugging the east bank of the Mississippi River, and the close proximity of three rivers make it an ideal playground for water-sport enthusiasts who can go fishing, paddling, kayaking or cruising. 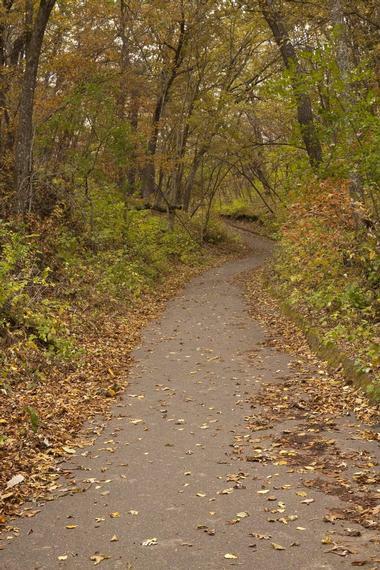 Visitors who prefer to stay on land will find more than 10 miles of great hiking and biking trails in Hixon Forest and Green Coulee, and an amazing diversity of wildlife in the surrounding wetlands. You can try for that hole-in-one at one of six golf courses or enjoy downhill and cross-country skiing in winter. You can shop for gifts at wonderful little shops and galleries in the Historic Downtown, visit several breweries and wineries or attend one of the regular festivals such as Oktoberfest, Irishfest, Riverfest or Airfest. 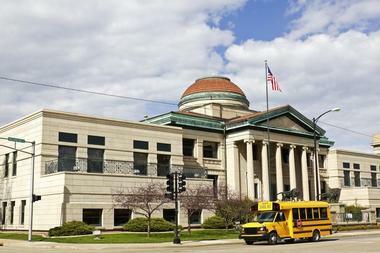 Kenosha is situated on the south-western shore of Lake Michigan and offers a long list of entertaining attractions for all ages. 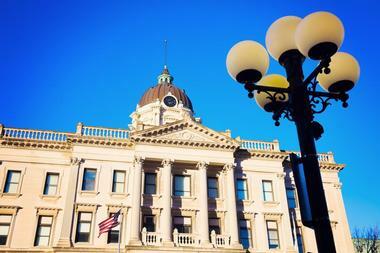 If you love history and museums you can head to the Dinosaur Discovery Museum, the Civil War Museum, the Kenosha History Center and the Kenosha Public Museum, while lighthouse enthusiasts can visit the Pierhead Lighthouse and the Southport Light Station Museum. For a break from history you can hop aboard the Electric Streetcar Circulator for a two-mile loop along the Lake Michigan shoreline or visit the Kenosha Harbor Market. 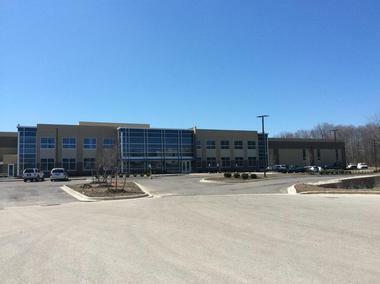 Dedicated shoppers can grab a bargain at Pleasant Prairie Premium Outlets, while water-sport enthusiasts can go boating, sailing or fishing and there are miles of biking trails for cyclists. Uncovering the vibrant arts and culture side of Eau Claire in western Wisconsin will definitely be one of the highlights of your visit. You can celebrate the visual arts at the UWEC Foster Art Gallery, go on the Sculpture Tour or release your inner artist (and drink some wine) at Cheers Pablo’s Paint and Sip Classes. To enjoy the performing arts you can visit the State Theatre or watch stand-up comedy at The Plus. 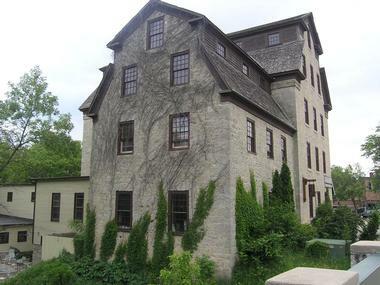 History buffs can learn about local history and culture at the Chippewa Valley Museum, while foodies can go on a tour and tasting at Lazy Monk Brewing and sample fresh local produce at the Downtown Farmer’s Market. To work off those extra calories you can hike or bike several scenic trails or enjoy snow-shoeing and snowmobiling trails in winter. Only 20 miles from Milwaukee, Cedarburg has easy access to all the big city has to offer while preserving its charming rural character. 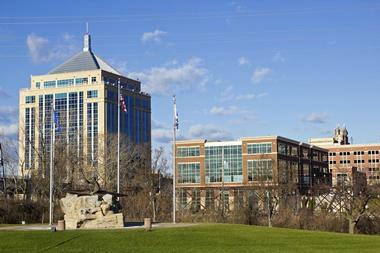 Scenic and beautiful, the town stretches along the banks of Cedar Creek. It is known for its great school system, rich cultural scene, famous annual festivals, and abundant green spaces along nearby Lake Michigan. Cedarburg became an attractive tourist destination in the mid 1800s for its mineral spring waters. Its historic downtown has a number of well-preserved limestone buildings and churches made by German immigrants from the native stone. The best place to learn about the town’s history is the History Museum, which is also the Visitors’ Center and General Store. Cedarburg Art Museum and the Wisconsin Museum of Quits and Fiber Arts show what the local artists are doing. Located in north-central Wisconsin and surrounded by forests, lakes and hills, Wausau is a charming getaway destination that offers a great selection of activities and attractions. 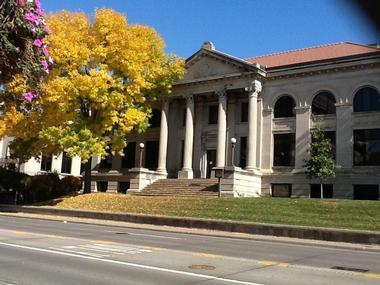 You can learn about the city’s past in the Andrew Warren Historic District and East Hill Historic District or make your way to the Woodson Art Museum or the Center for the Visual Arts to admire the work of the local Wausau arts community. The performing arts are very well represented in Wausau and you can enjoy everything from Broadway shows to dance extravaganzas. Outdoors the fun never stops and you can go hiking and biking along many miles of trails and have year-round fun at Logger’s Landing Waterpark. In winter the emphasis switches to downhill and cross-country skiing, snow shoeing and snowmobiles. Muskego was an agricultural area before becoming a bedroom community for fast-growing Milwaukee. The town has its own distinct character, three beautiful lakes within its boundaries, and much to see. Boerner Botanical Gardens features 11 specialty gardens, a raised bog walk, and a rose garden. 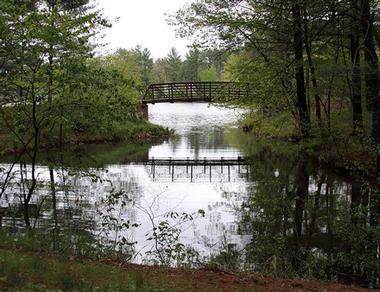 Whitnall Park is a lovely wooded area with a nature center, botanical gardens, walking trails, and a golf course. Minooka Park has a popular beach, sled hill, and archery range. Bear Den Zoo & Petting Farm is a family-friendly petting farm and exotic wildlife zoo with animals that include black bears and lemurs. At Devil’s Lake State Park in south-central Wisconsin you can look forward to getting back to nature in the state’s oldest and most popular State Park, where you can enjoy a wide range of outdoor activities against the backdrop of enormous quartzite bluffs which overlook the 360-acre lake. To fully immerse yourself in the park you can pitch your tent or park your RV at one of the three campgrounds and rent canoes, kayaks and paddle-boards from the concessions on both the north and south shores. 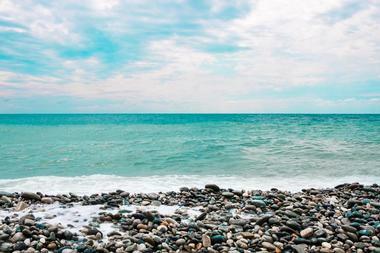 Back on land you can explore 29 miles of hiking trails or head into the backcountry. Other activities include visiting the Nature Center, biking, rock climbing, swimming, scuba diving and fishing. Cave Point County Park forms part of the Whitefish Dunes State Park in Door County, along the impressive coastline of Lake Michigan. At Cave Point centuries of prevailing winds have produced the relentlessly pounding waves that have carved out caves in the limestone bluffs. You can enjoy the wonderful views and watch nature at work from several overlooks - you can explore the 19-acre park on foot along a short half-mile trail or bring a picnic and simply enjoy the view. Sunsets are particularly impressive and photographers will have a marvelous time. Adventurous visitors can go on a guided kayak tour with Door County Kayak Tours to see and explore the caves from the water. 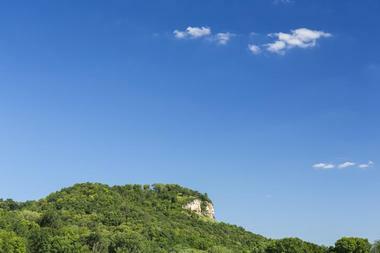 Grandad Bluff Park is situated in the City of La Crosse, which lies along the eastern bank of the Mississippi. Grandad Bluff is the most elevated spot in the area and is known for its sweeping views over the city of La Crosse and the surrounding areas. From the top of the 600-foot high bluff you can use coin-operated binoculars to look down over the three states of Wisconsin, Minnesota and Iowa that make up the Mississippi River Valley. You can bring a picnic and go hiking along some of the bluff-side hiking trails that are accessed from the parking area. If you are in La Crosse on New Year’s Eve you will be able to watch the annual Skyrocker’s Fireworks Show that takes place on the bluff. The meandering 26-mile Geneva Lake Shore Path provides visitors and locals with a wonderful way to explore the scenic shores of Geneva Lake. As you make your way along the path you will have great views of the boating activities on the lake as well as having the chance to see some wonderful historic estates whose manicured lawns and gardens extend to the edge of the lake. Each of the estates that border the lake are responsible for maintaining their own strip of the Shore Path which gives the path a unique character – some owners have erected art, some have provided benches and some have water-fountains for thirsty walkers. There are several public access points dotted around the circumference of the lake. 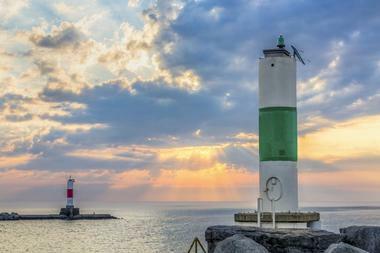 The lake-side city of Racine is picturesquely situated at the mouth of the Root River along the shores of Lake Michigan, offering visitors a large variety of water-related recreational opportunities. You have several great options for fishing, while canoeing, kayaking and padding along The Root are all popular activities. 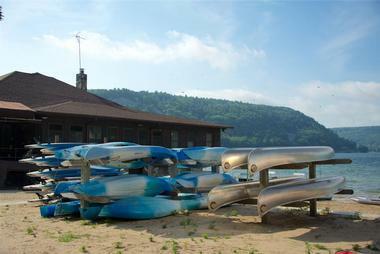 Lake Michigan offers excellent boating and North Beach is one of the most popular lake shore beaches in the country. Architecture fans should not miss touring the SC Johnson headquarters where you can admire examples of Frank Lloyd Wright’s work, while art enthusiasts will be blown away by the Racine Art Museum. 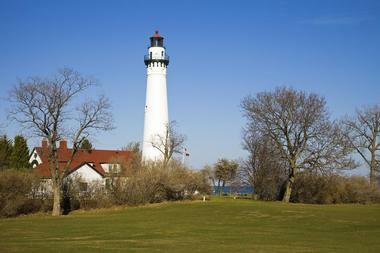 Other attractions you can visit include the Wind Point Lighthouse and Racine Zoo. 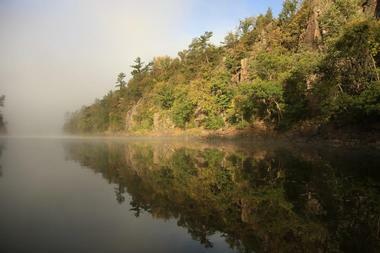 Interstate State Park is located in one of the most scenic parts of Wisconsin along the beautiful St. Croix National Scenic Riverway. To properly understand how the dramatic scenery came about you can visit the Ice Age Interpretive Center where you can watch a short film and learn about the great glaciers of the Ice Age, before you set off to explore all the park attractions. On land you can hike over nine miles of scenic trails, go rock climbing or settle into one of two campgrounds to enjoy all the water sports on offer. In summer you can enjoy swimming, non-motorized boating, canoeing and kayaking and In winter you can have fun on over five miles of recreational trails suitable for cross-country skiing and snow shoeing. High Cliff State Park is named after the towering limestone cliff of the Niagara Escarpment which overlooks the park along the eastern shore of Lake Winnebago, providing hikers with several challenging trails. The parks location along the shores of Lake Winnebago means that you can participate in many water-related activities which include sailing (from the marina), wind-surfing, kite-boarding, paddling, swimming and fishing. Land-based activities you can try include biking, horse-back riding (there are 8.5 miles of bridle paths), archery-only hunting (during the hunting season) and camping. In winter you can go skiing, cross-country skiing, snowshoeing or have fun on a three-mile snowmobile trail. 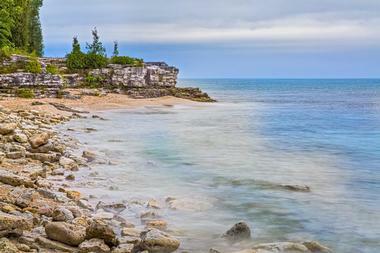 One of the prime attractions on Washington Island is without doubt the beautiful limestone Schoolhouse Beach. Schoolhouse beach is totally devoid of sand and the smooth rounded pebbles you will feel under your feet have been glacier-polished over thousands of years, and will pleasantly massage your feet as you walk. Schoolhouse beach is great for swimming – here you can swim out to the swimming platform (the water depth increases rapidly) and enjoy diving and snorkeling in the crystal-clear Lake Michigan waters. The beach is great for sun-tanning (perhaps not quite as comfortable as a sand beach – just bring a mattress) and there is a wooded area where you can picnic or have a barbecue. Together, the St. Croix and Namekagon rivers make up the scenic St. Croix National Scenic Riverway which cuts a 200-mile swath through some of the most beautiful forested scenery you will find anywhere in Wisconsin. The Riverway is known for its pristine waters and provides nature lovers with a wonderful marine playground. You can fish and explore at your own pace by boat, paddle your canoe or kayak (rentals available) or join a ranger-led program that will introduce you to the fauna and flora of the area. There are seven river-side hiking trails (which can be used for cross-country skiing and snowshoeing in winter) and if you undertake a multi-day hiking or kayaking adventure you can camp alongside the river each night. 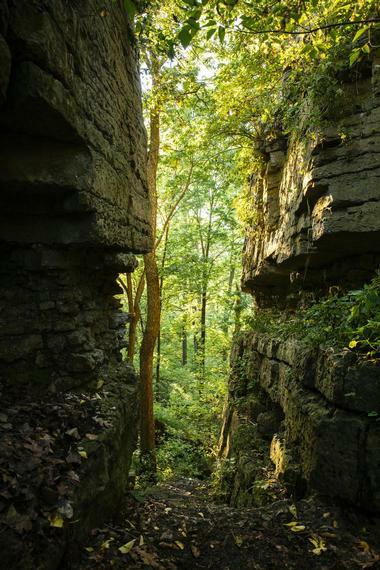 The Ice Age National Scenic Trail beckons all hiking enthusiasts to come and have the adventure of a lifetime as you follow a portion of the winding 1,000-mile trail which runs all the way from Interstate State Park to Potawatomi State Park. As you make your way along the trail you will have several opportunities to observe unique glacial features which developed during the last Ice Age and do some great bird and wildlife watching. There are campsites along all sections of the trail and there are hundreds of trailhead and access points where you can join the trail. Most of the trail is open for cross-country skiing and snowshoeing in winter and certain sections are suitable for biking and snowmobiling. Situated in Sawyer County, Hayward Lakes offers outdoor enthusiasts an enormous playground where they can experience just about every outdoor activity you can name. For starters, there are over 55,000 acres of lakes where you can go fishing, swimming, canoeing, kayaking and tubing. 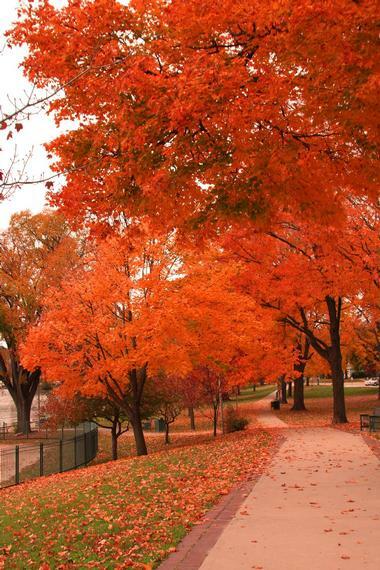 Landlubbers can explore on foot or by bike along a plethora of scenic forested trails, or go horseback riding and bird watching or take a scenic road trip to see the fall colors. There are several ATV trails to explore and no less than 23 campgrounds where you can pitch a tent, park your RV or rent a cabin. In addition you can enjoy skiing, snow-shoeing and snowmobiling in winter. 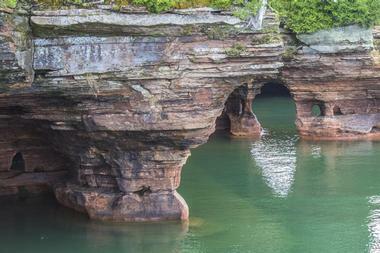 The Apostle Islands lie in southern Lake Superior, just off the northern-most shore of Wisconsin, offering miles and miles of beaches, trails, cliffs and water to be explored and enjoyed. The islands are only accessible by boat and you will find a great many options for enjoying the calm waters of Lake Superior. You can go sailing or island-hopping by boat, stopped here and there to swim or fish in quiet secluded little bays, or get active on the waters in a kayak, canoe, or wind-surfer. There are several guided kayaking tours available including one that will take you inside some of the spectacular Apostle Islands Sea Caves. Back on land you can enjoy hiking over 50 miles of trails, camping (18 of the islands have campsites) or going on day trips to neighboring islands. Lakeside Park is situated in Fond du Lac on the southern shore of Lake Winnebago, offering both locals and visitors over 400 acres of waterside recreational space. 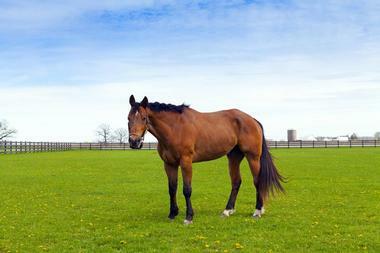 The park is a year-round attraction and each season has its own appeal. In summer you can visit the Lakeside Park Lighthouse to get wonderful views over Lake Winnebago from the elevated observation tower and enjoy a long list of water sports. You can rent a canoe, kayak or paddle boat from Lakeside Park Rides or bring along your own boat to launch at the Lakeside Park Marina. Children can have fun on the playgrounds or take a ride on the miniature railway and carousel. There are plenty of picnic sites and in winter you can go ice skating and ice fishing on the lake.